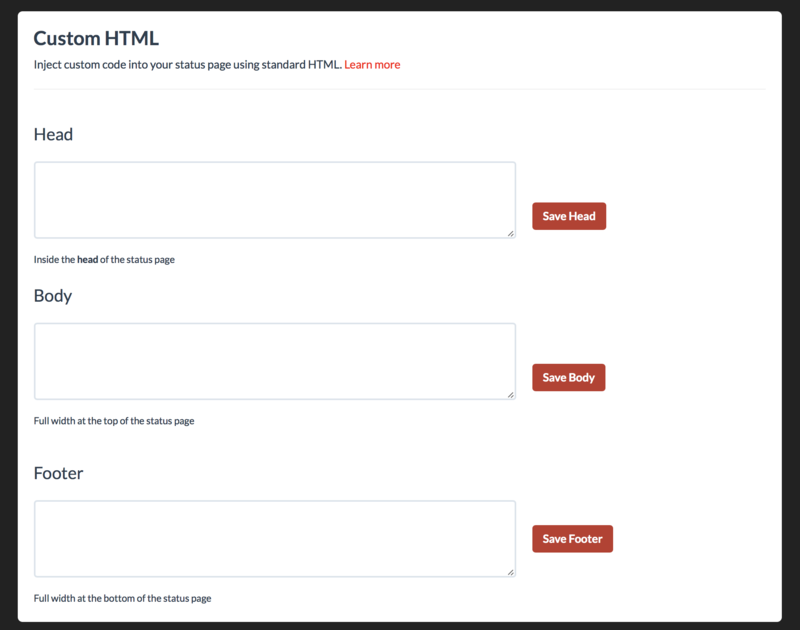 Customize your status page using HTML. Almost every element of the page can be customized using HTML. Add your custom HTML from the Design tab in the Dashboard. Warning: Due to the nature of web design, please test your HTML to ensure compatibility.